1. In Logic, I have to use CTRLR as a Software Instrument meaning it’ll be fed the MIDI NOTES on that track. Unfortunately, CTRLR (or the panel? I’m new to this!) doesn’t seem to forward the notes to the MICRON. I can work around this by adding a second external MIDI track to send the notes to the synth but it’d be nicer to work with just one track per patch. Is there a way to make CTRLR forward the MIDI notes to the MICRON? 2. I would assume that one of the main reasons to use CTRLR in a DAW would be to use automation. Now, this works perfectly with your panel as an AU plugin in Logic X, unfortunately however, all the values are named “undefined_18” etc. rather than “OSC1 Octave” for instance, making it rather cumbersome to figure out which values to use. If I can be of any help (such as typing out an Excel spreadsheet of which undefined_xx does what in the plugin), let me know. Meanwhile, thanks again and happy new year! I hope this thread will help. 1. If I click the different MIDI Thru options, nothing happens. The menu just disappears and nothing changes. Nevermind, the nightly builds were sorted from oldest to newest for me and I’ve been using an old version… Everything seems to work with the current one. Beginner’s mistake, I’m sorry. I updated a panel. It looks like its working fine with cubase/win. Thank you nanasi, it seems to be working fine now. I’ll get back to you if I stumble upon anything else. Thanks for the great work! hi. I have set up the midi IN and OUT in the Ctrlr software and everything works fine, like I can send and receive MIDI both ways. The problem is that when I try to “request full list (inc. category)” the miniAK doesn’t send anything. Any idea on what could be wrong? thanks in advance. First, please check midi channel setting of your MINIAK. Ctrlr uses ch.1 by default. Can you load each patch? The editor manages bank 0 to 7.
nanasi’s patch editor seems to be the great promise for using the Miniak. But ‘request list’ or ‘request full list’ doesn’t work with me (both winXP+Mac 10.6.8, standalone). So I’m not able to do anything. 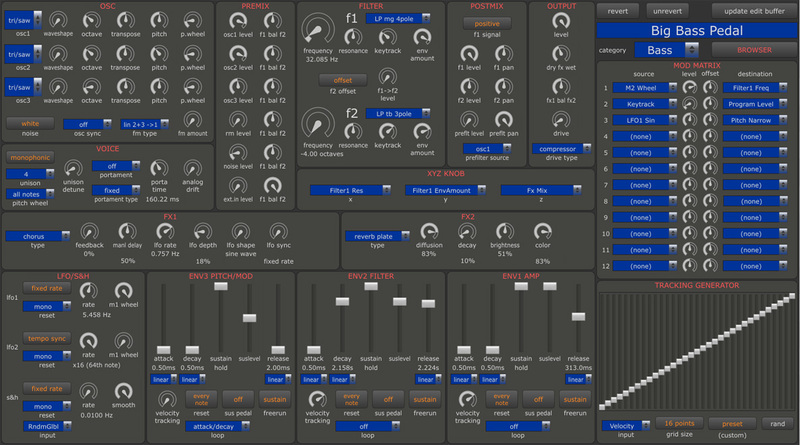 The idea is: open a patch from list ‘Browser Synth’, editing on sw effects the Miniak, save the changes, able to open this patch later, isn’t it? Thanks for taking the time to develop and share this it’s very much appreciated. A couple of points maybe worth noting. Although I have uploaded the banks from the ‘Request Full List’ button I’ve also tried requesting individual items. Requesting banks gives ‘getFromDevice failed for item:” but don’t list an item. Request all programs gives “Request Data is not SysEx”. Keep up the good work!! and thanks again. Hi, first of all thank you very much for this very nice gui for control the Miniak ! hi everyone, I am currently using the standalone version of ctrlr with the MINIAK panel loaded, and whenever I load a patch from my miniak thru my cakewalk UM-1G, it says ‘Receive failed: data is corrupt’… would anyone suggest how to remedy this? thanks! Hello, I just discovered your software and I am very impressed – nice work! I am having one issue though – I cannot seem to save any changes back to the Miniak. After installing the panel, I requested the full list (incl. category) to populate the banks/patches. Then, after clicking on a patch and pressing “load patch”, the patch changed on my Miniak, but the LED there said “Receive failed. Please try again”. Similarly, when making a few changes to the patch in the panel and pressing “save patch”, the LED on the Miniak said “Receive failed. Timed out.”. This appears to be the case for any patch tested. FYI, I am running Ctrlr in standalone mode on OS X Mavericks (10.9.4), connected to the Miniak using an E-MU Xmidi 1×1 cable. Thanks. The linux i686 version didn’t work for me. I got a crash loading the panel. Hi Nanasi, thanks for your usefull production. I’m runnuning CTRLR 5.3.35 ona 32 bit Win 7. Were you ever able to fix this? Is this editor still available? In case anyone has the same problem. The way to solve it is by downloading build 1655. Thanks to Puppeteer for pointing me in that direction. Hi! Searching for a editor for my Alesis Micron I found that CTRL is a very popular. I downloaded the MINIAK/MICRON panel to try it out but I can’t make it run. I make the MIDI connection from the synth to my computer through my M-AUDIO Fast Track Pro and that’s all. 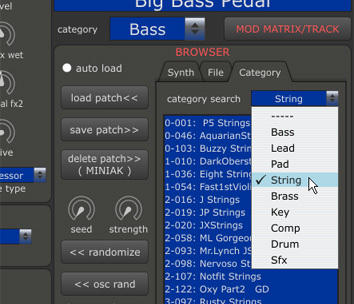 I’m looking for a tutorial or something like baby steps to make it run so I can edit my patches in the computer and not get crazy with the synth menu. Someone here can help me? P.S: Sorry for my english, I need practice. does this panel can edit Alesis Ion too? Thank you Nanasi for this! I am very new here! I am just getting a micron delivered next week and am so excited! I was told about this website and its exciting! I am confused here as to where to download your editor for Micron? I use Cubase 10 on Mac OSX. I hope you can help me! !